Thank you for submitting your items for appraisal. 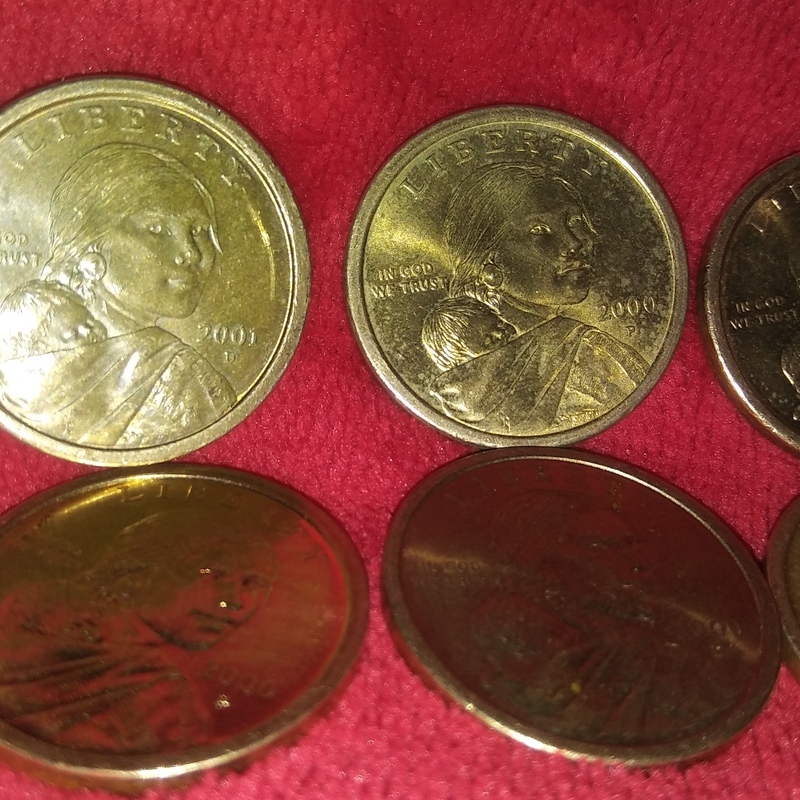 These appear to be six quite common SACAGAWEA Dollars and they seem to have very light traces of use. There are a few varieties known which sell for high prices, e.g. the "Cheerios" or the "wounded speared eagle". I can´t see any hidden value among the coins in your possession unfortunately. The estimate is based on similar sold at auction. The collector´s value would be just a little above face value.